FBI Director Robert Mueller, shown with National Counterterrorism Center Director Michael Leiter, testifies last September on Capitol Hill at a hearing called "Nine Years After 9/11: Confronting the Terrorist Threat to the Homeland." Mueller's 10-year term expires in September. Leiter is reportedly among those being considered to replace him. Over the next several weeks, the Obama administration will have a big decision on its hands: choosing the next director of the FBI. The 10-year term of the FBI's current leader, Robert Mueller, expires in September. A committee is already searching for candidates to replace him. 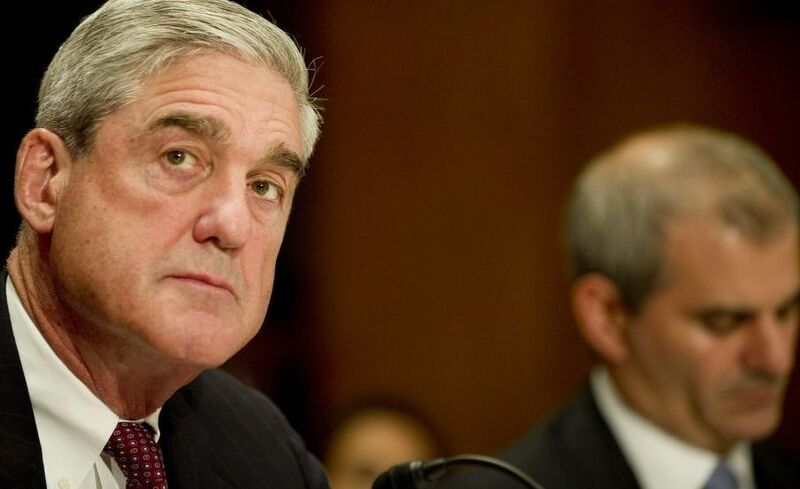 Mueller became the FBI director in September 2001, days before the terrorist attacks that would change the bureau's direction. President Bush had an order for his national security team back then: Don't ever let this happen again. Sen. Charles Grassley (R-IA) said future FBI leaders will be judged on that same measure. "You kinda got to judge the success of the FBI based on the proposition that the FBI can make no mistakes or there's going to be Americans killed," Grassley said in an interview. "And you know, a terrorist only has to be successful one time out of a thousand, and they've done a lot of damage." Finding a person to replace Mueller represents one of the administration's most important law enforcement legacies. The new director will serve a 10-year term that extends well beyond the Obama presidency. Vice President Biden and Attorney General Eric Holder are putting together a long list of candidates. Sources inside and outside the government say that list includes current and former U.S. attorneys such as Patrick Fitzgerald, Mary Jo White, Jim Comey, Neil MacBride and Ken Wainstein. Federal appeals court judge in Washington, D.C., and former Justice Department official; oversaw the Oklahoma City bombing investigation. Also under contention, the sources said, are federal appeals court Judge Merrick Garland and U.S. National Counterterrorism Center Director Mike Leiter. So are people with experience at the FBI, such as former agents John Pistole and Michael Mason. Konrad Motyka is president of the FBI Agents Association. He says the next decade will determine the direction of the FBI. "The FBI has undergone a pretty serious transformation from being a law enforcement agency with intelligence responsibilities to becoming an intelligence agency with domestic law enforcement responsibilities," Motyka said. Over the next several years, people will learn whether the changes the FBI made after Sept. 11 will stick or fall by the wayside. Civil liberties groups say they wish some things about the FBI would do just that. Mike German, a former FBI agent who now works on policy issues at the American Civil Liberties Union, said he's worried about reports the FBI has investigated nonviolent protest groups in the U.S. — groups that want environmental rights or more protections for animals. "What we see is these groups are coming under surveillance by the FBI for no appropriate purpose," German said. "And that not only violates their civil liberties but also misdirects resources that should be targeted at people suspected of wrongdoing." The FBI says it follows the rules. On Capitol Hill last week, Mueller told members of the House Judiciary Committee that the bureau has its hands full. "The challenges of carrying out this mission have never been greater, as the FBI has never faced a more complex threat environment than it does today," Mueller said. "Over the past year, the FBI has faced an extraordinary range of threats from terrorism, espionage, cyberattacks and traditional crime." The mission could get even more complicated. That's because budget problems are putting the squeeze on all federal agencies, including the bureau. Mueller told Congress that the FBI could finish the year with more than 1,000 unfilled jobs because of money troubles. And those jobs matter. The FBI leader said as much last week in an exchange with Rep. Dennis Ross (R-FL). "One last question: What advice would you publicly give to your successor?" Ross asked. For his part, Mueller laughed, before adding: "I would say that the bureau is its people — its agents, its analysts and its staff. You will never find a greater group of dedicated professionals across the country. Rely on them." Administration sources say they plan to decide on a successor by May. They need to get the nomination to the Senate by June to give Congress time to consider and vote before the August recess.